Situated on a hilltop, offering panoramic vistas across the river and the valley, Meri Puensum Resort provides well-appointed spacious tastefully furnished rooms. 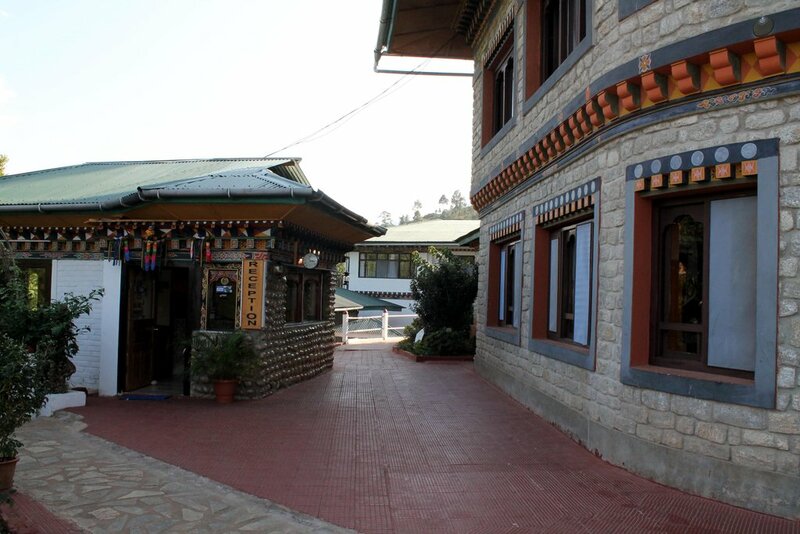 It has a large dining area and bars serving Indian, Chinese, Continental and Bhutanese cuisine and range of international and local beverages. 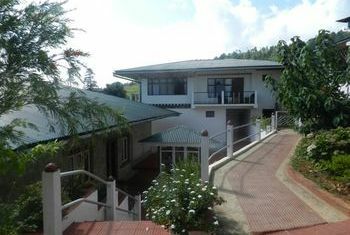 The staff is extremely friendly and put their best effort to offer a comfortable and memorable stay to guests. There is also a small and nice sit-out porch with gardens and flowering plants. 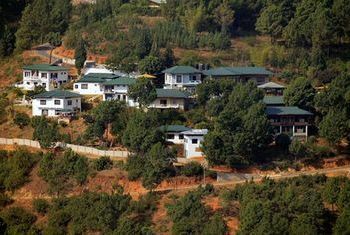 Meri Puensum Resort is ideally located for exploring the fertile and fascinating valley of Punakha and nearby Wangduephodrang valley. Hotel Amenities: Free Internet, Free parking, Restaurant, Bar/Lounge, Breakfast included, Laundry Service, Non-smoking hotel.